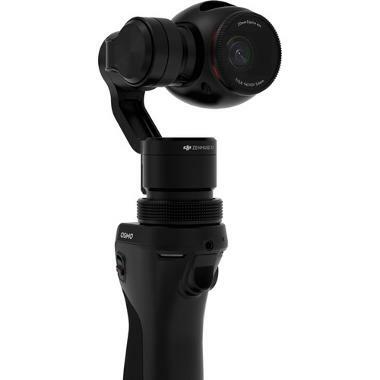 The DJI Osmo Handheld 4K Camera and 3-Axis Gimbal provides stabilized 4K shooting in an extremely portable package. 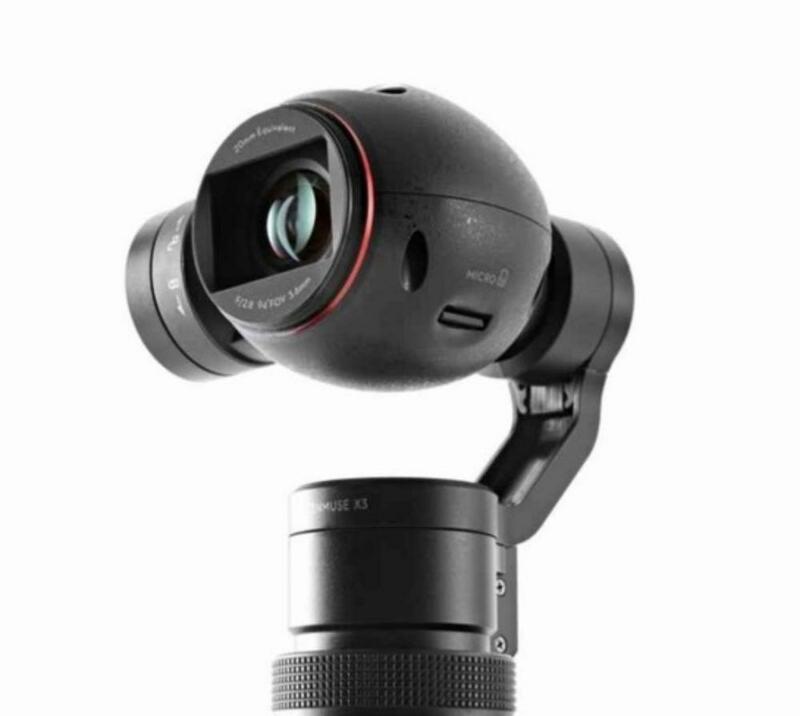 Shoot video, time-lapse, and burst photography and control it all from a detachable handle. With the help of the DJI Go App, you can monitor footage from up to 85' away with your smartphone (which you can connect directly to the gimbal with the included phone holder). This system sports 3 motors so that the Osmo can be panned over a 320° range, tilted down 35° and up 135°. It can pan or tilt at a rate of up to 120° per second. The motors also provide superb stabilization to keep the camera almost totally still so you can freehand capture stills of up to 2 seconds long. This handheld system is ideal for adventure shooting, travel, and immersive sports shooting. 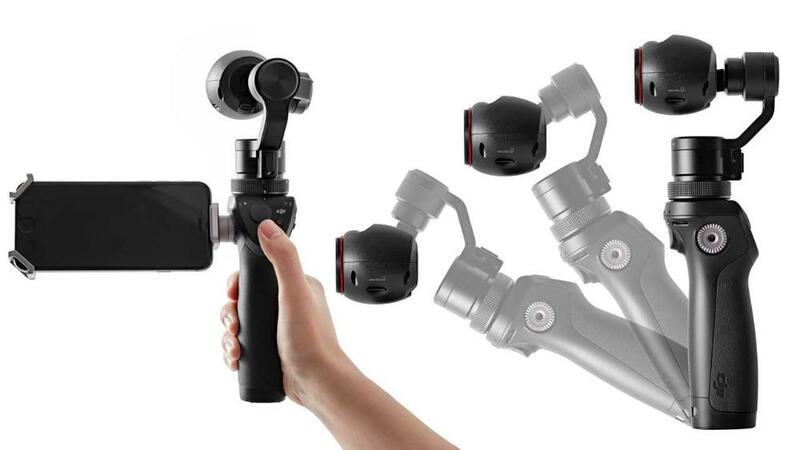 • The Osmo can be tethered via WiFi to a smartphone with the DJI Go App on iOS and Android. • A 16GB microSD card and reader is included. If you need a larger capacity card, please rent separately the 64GB microSD Extreme Plus. Please note that the SanDisk 64GB microSDXC Ultra is a bit too slow for 4K recording. • The maximum accepted microSD capacity for the Osmo is currently 64GB. • The longest available photography exposure time is 30 seconds in manual mode. • A fully charged battery lasts for 60 minutes when recording video, and 6 hours of stand-by in sleep mode. Battery charge takes approximately 60 minutes. • The Osmo is not waterproof. • The use of the on-board microphone is not recommended for anything more than scratch or reference audio. Fan and motor noise will be audible. For high quality audio capture, an external microphone or separate audio recording setup is recommended and is not included. • Dimensions: 2.4 x 1.9 x 6.4"